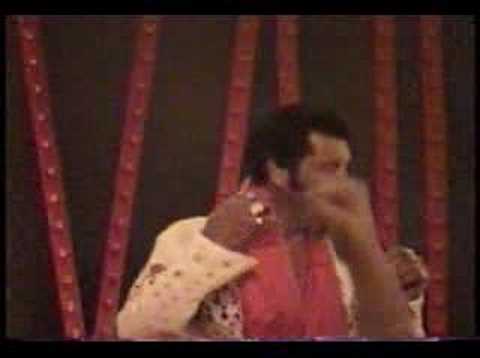 Patrick Johnson "Elvis Lives Live", Voted #1 Place Lady Luck Music Peoples choice award Montreal, Quebec 2006. 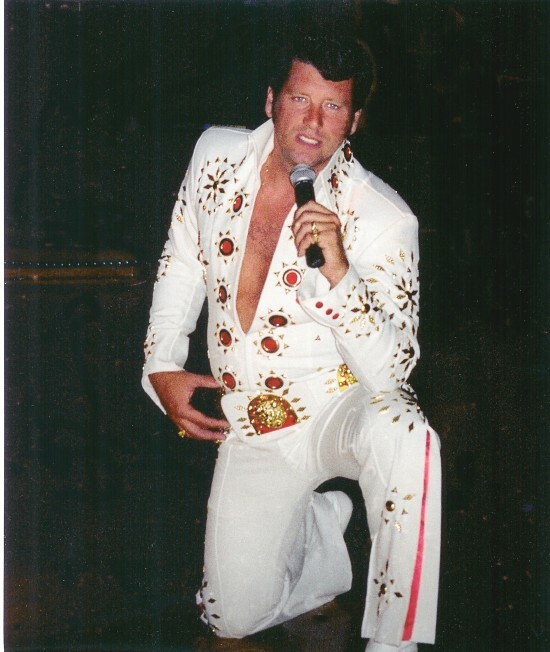 Currently the star of "Legends On Stage" .#1 Elvis Impersonator in Western New York. Patrick Johnson, the most humble down to earth person. Never lets the fans down...always delivers an amazing performance at each and every show. May God watch over him and his family. I met Patrick in 2005 when my daughter needed a liver transplant and she is a big Elvis fan. When she was at his shows, he made her forget that she was sick and she loved his shows. Now in 2015 I continue to go to his show with my best friend, my daughter has outgrown going to shows with mom. But Patrick puts his heart and soul into these shows, and they aren't always the same. He switches up the songs which makes it even more enjoyable. The best thing about Patrick is that he has a warm heart to the elderly and disabled. He really takes the time out of his shows to make sure that they are felt wonderful. The smiles on their faces are well worth the show itself. Patrick Johnson shines. As always, Patrick delivers a great performance. He sings the greatest Elvis songs and sings more variety each time. He brings fun to the audience and the crowd loves him!! ! He is the best! All of these special qualities makes him a true artist. What a show, Patrick! As usual I am fortunate enough to be part of your audience. What a voice!! Not only does your voice exceed, but you get an A+ in my book for showmanship, charisma and talent. I look forward to seeing more of your performances. Outstanding performance!! As usual he delivers everyhing a good entertainer should!! I have seen many of his performances. He brings so many memories of the KING. He is talented, charming, friendly and oh...so incredibly good looking!!! I was fortunate to see Patrick perform at a private corporate event and was impressed by his talent, complete professionalism and crowd appeal. Review by Paul S. P.
This is a great show with good audience response. Lively and engaging, uses theatrical lighting and back-up singers;very Vegas-like.Audience enjoys contact with him after the show and always looks for souvenirs and autographs - a sign of good involvement. Patrick Johnson actually came twice to our venue and the first night was a snow storm. People stood in line outside for 45 minutes to a get a good seat. Terrific job! No one looks for better! OMG. that is what I can say. As a young girl, I was an Elvis follower and would read, watch everything I could. After his death, I let my obsession fall by the way side. Until, I saw Patrick Johnson. My obsession was re-ignited. I never thought that I would feel the same about Elvis again. His voice and audience participation gets the crowd going. I have encountered both young and old who talk after a show about how "good" he is. I think he is "GREAT" and so do my little nieces and newphew. We all follow wherever he goes; near or far. It is well worth the ride. Long live Patrick Johnson!!! patrick johnson was awsome,he not only performed to perfection as elvis he had audience participation that was beyond his calling.Everyone enjoyed him tremendously. He hung around after his show so that everyone could have their picture taken with him .people were amazed at how down to earth he is and had a great sense of humor.I know he got a few bookings afterword and i would certainly hire him again. he is the best elvis impersonator in my area by far. 1st Place Lady Luck Music Peoples choice award Montreal, Quebec 2006.........2nd place Shiners "Divan" Montreal, Quebec 2006.........2nd Place Elvissss Fest Orchard Park of January 2003.......1st Place Buffalo Elvissss Fest Blasdell, NY 2003......Represented New York State in the first Irish Festival in Ireland. #1 Elvis Impersonator in Western New York. 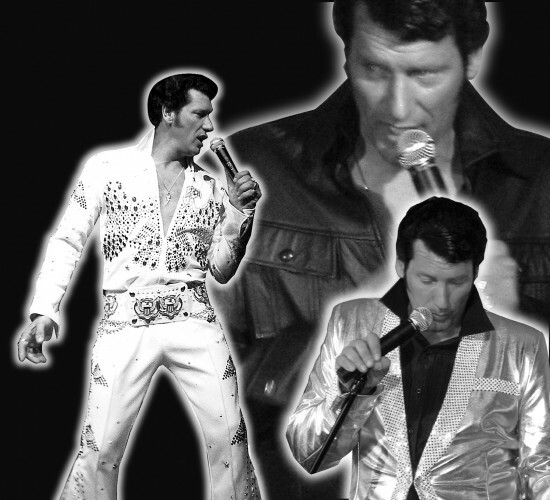 Considered one of the top Elvis Tribute artists in the country. and voted #1 in the peoples choice in Montreal ,Canada. Patrick Johnson, originally from Ireland, relocated to the US and now resides in Lake View, NY. 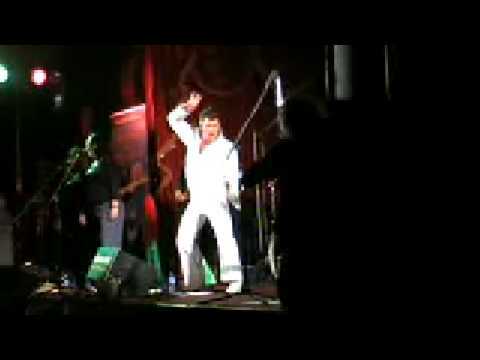 Like many other Elvis tribute artists, Patrick's “Tribute to Elvis” started in the karaoke ranks and has now progressed into a full Elvis tribute show. Patrick’s good looks and audience appeal have helped push him to the top of his craft. With a powerful and dynamic voice, he is able to captivate his audience both young and old alike. He has donated much of his time and talent in doing numerous shows to benefit the physically and mentally handicapped of Western New York; Mercy Flight and the Madison McCarthy Cardiac Care Coalition For Children. Patrick was very honored when The Elvis Tribute Artist radio "(link hidden)" picked his recording of "Amazing Grace" to pay tribute to 911 in September of last year. Patrick has also played for -Finger Lakes Casino, NY-Garrett County Fair, Mc Henry,MD.-Seneca Gaming and Entertainment Casino, Irving NY-”The Stage Theatre” Warsaw NY “ A Night with Elvis” Follow that Dream Productions; Fort Erie, Canada. –“Trelvis show “ Elvissss Productions; Jamestown, NY. –“Party on the Parkway” Cystic Fibrosis Foundation; Houston, TX. –“ The King Of Rock-n-Roll Returns” Milford Oyster Festival Milford, CT-Senior Olympics; Scioto County Fairgrounds Lucasville, Ohio.-TV Cogeco Cable 10 ,Canadian TV. Lady Luck Music Elvis Tribute Showcase - Montreal , Canada. heard on The Rockin' Richard Show WNHU 88.7FM New Haven ,CT. “A Tribute To Elvis” FTD Canada Productions; Port Colborne, Canada.”Cruise night“, Geneva, (link hidden)cade 50’s fest arcade, NY -Eden Corn Festival, Eden NY-Heart Association Rochester, NY-Portrays Elvis in the stage production of “Legends on Stage". also performed in Ireland, Boston Mass. also a member of the “Entertainers Network” in Las Vegas Nevada. Recent review: On time, as described and very responsive throughout. Would recommend!